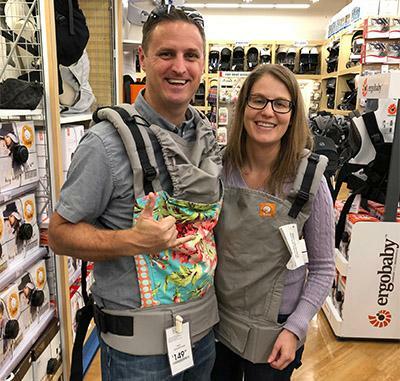 "Loving God and Our Neighbors"
Last week, in a letter to the congregation, Ryan and Erin Newman shared the news that they are expecting a baby girl in August. With the new addition to their family, Rev. Ryan will be adjusting his sabbatical schedule in 2018. "In a month, I will set out on my first sabbatical experience after 16 years of ordained ministry. It promises to be a profound pilgrimage, literally and figuratively. Initially, the plan was for my sabbatical to begin April 2nd and conclude August 18th. However, Erin and I learned on Christmas Eve that we are going to be parents to a baby girl in late August. Yes, Erin is pregnant! We have begun our pilgrimage to parenthood." This new journey requires that I adjust my schedule in 2018 whereby I will be dividing my sabbatical time into two parts. I will begin my sabbatical as planned on April 2nd and conclude the first portion June 30th. I will serve full-time in July and most of August. It will also mean that I will be present for the start of the new preschool year, which makes Chris Wataya very happy. In late August (approximately August 25th), I will resume my sabbatical coupled with paternity leave in order to be fully present to my family. I plan to resume part-time duties November 1st including serving on Sundays and will resume my full-time duties on December 1st." The Reverend Mary Elizabeth Tudela has graciously agreed to serve during Rev. Ryan's absence during both my sabbatical and paternity leave time. 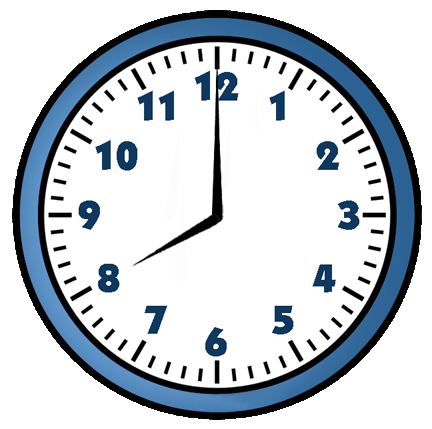 Starting April 8th, 2018, the early service on Sunday (currently at 7:00AM), will begin at 8:00AM. The later start time will position the early service to better serve a greater number of our ‘Ohana and visitors and potentially grow the service’s attendance in the long run. In the interest of safety, it will allow attendees to commute to church throughout the year during daylight hours. During the sabbatical period, the later start will best accommodate Rev. Mary’s schedule. This change will be in effect through the end of the year (2018). If you were unable to attend last Sunday's service, the sermon audio is available, click here. “Never again should our children live in fear to go to school. Turn over the tables! Never again should a leader be bound by special interest over human interest. Turn over the tables! Never again should any organization turn a blind eye to the suffering. Turn over the tables! Never again should our human family allow our holy places to be safe houses for the devil. We have a moral obligation to stand up and speak out against injustice, greed, corruption, violence. We are called to go into these sacred places and turn the tables over. To proclaim the Good News. The Episcopal Church’s House of Bishops said March 7 its members will support two major social movements, one to end gun violence and the other to end sexual harassment, violence and gender bias. 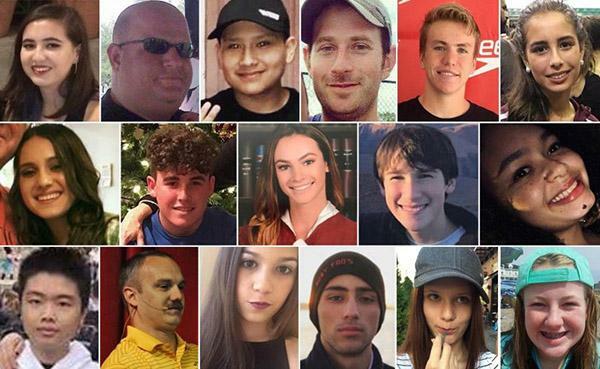 The bishops said they “wholeheartedly support and join” young people who survived the deadly Feb. 14 school shooting in Parkland, Florida, in their call for an end to gun violence. In the other statement, they said they knew the “church has fallen short of our responsibility to listen and respond” to “the reality of sexual harassment, gender-based violence, and the cultural stronghold of gender bias and inequity.” The bishops “invite the church to a deeper examination of what God intends for our relationships,” including at the July meeting of General Convention. Both statements were “accepted” during their annual spring retreat, according to press releases issued by the church’s Office of Public Affairs. 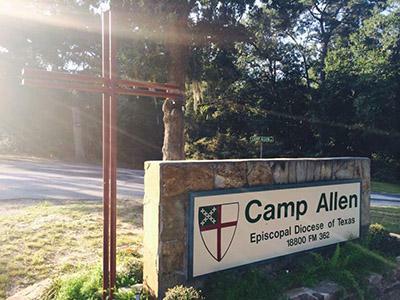 The bishops are gathered March 6-9 at Camp Allen , an Episcopal camp and conference center in Navasota, Texas. The statement endorses the goals of the student organizers of the March for Our Lives , scheduled for March 24 in Washington, D.C. Companion marches are planned in many U.S. cities and towns, and many Episcopal bishops have voiced their support for those marches. The bishops’ statement reiterated that support. In their statement on sexual harassment and violence , the bishops note that this is the first time the House of Bishops has met as a body since the #MeToo movement began last fall. They said that the work “will take courage. For more information, see the full article here . This story is courtesy of the Episcopal News Service . 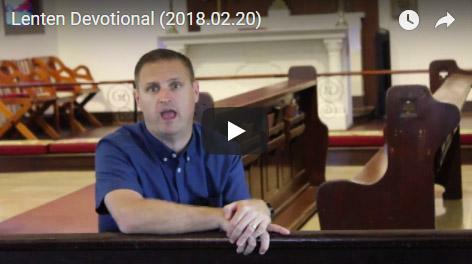 During the season of Lent, The Reverend Canon Sandy Graham asked each member of the clergy to provide one video reflection on the daily readings in Lent. Members of the clergy were assigned a day and invited to provide a 1-2 minute reflection. Each day, the videos are posted on the Diocese's Facebook page and there are links also on the Diocese website. To view Rev. Ryan's reflection for February 20, 2018, click here. 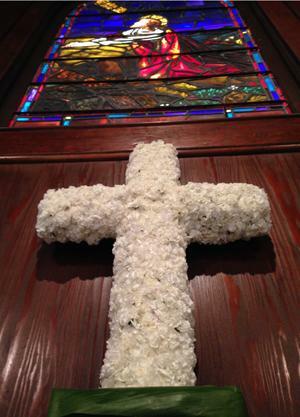 Flowers for All Saints’ Easter Services are made possible by the generous donations of our ‘Ohana. This is a wonderful way to make the church look festive as we celebrate the Resurrection of our Lord and to dedicate a gift in thanksgiving or in memory of someone. Deadline is Monday, March 26th by noon to be included in the Easter Program. Forms are available online and at the entrance of the Church. 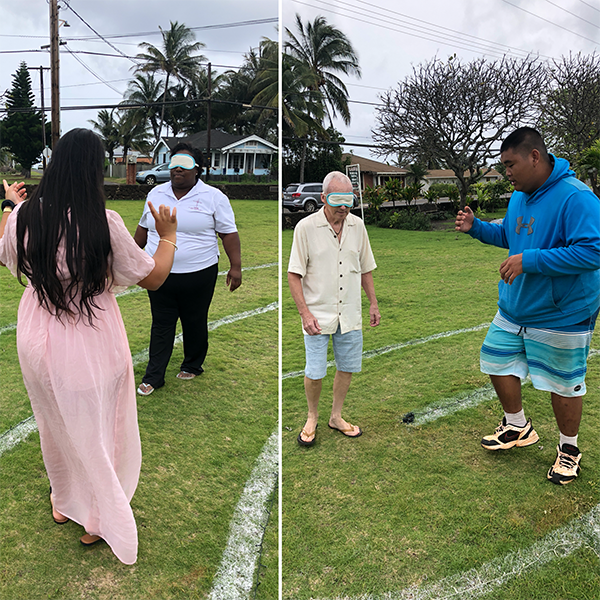 Terry Ann Moses (left) and David Murray (right) are guided by members of the Ke Akua Youth Group through the All Saints' Labyrinth. 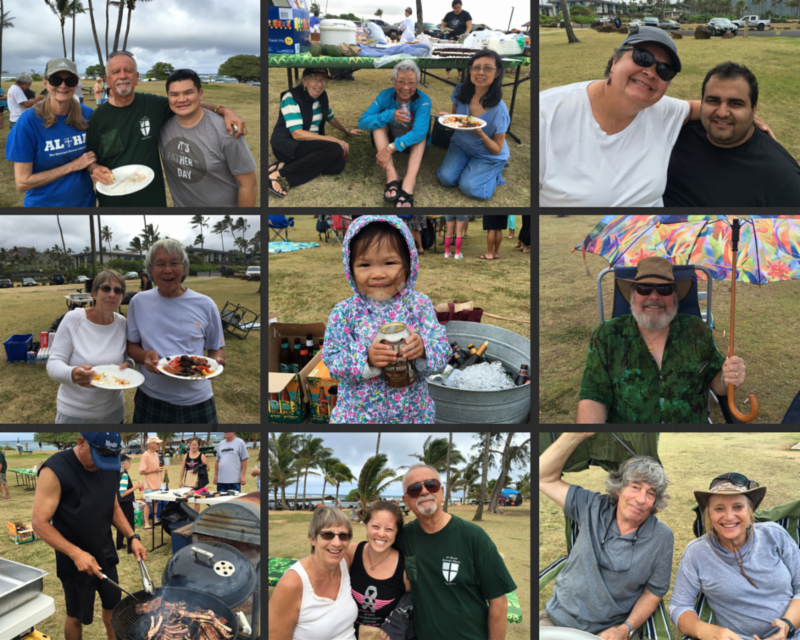 For the past three years, All Saints' has hosted a Beach BBQ at Lydgate Beach Park on Palm Sunday evening, 4:00PM – 6:30PM to kick-off Holy Week. We will do it again this year: Sunday, March 25 th . Beverages will be provided. If you are able, please bring a side dish (not required). It is recommended you also bring a beach chair. Come join us for food, fun, and fellowship! John 12: Jesus goes to Bethany to the house of Mary and Martha, whose brother, Lazarus, Jesus had raised from death. 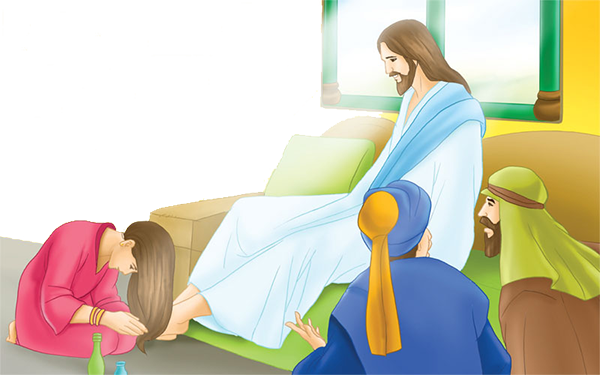 At supper, Mary takes some expensive ointment and anoints Jesus’ feet with it. Judas Iscariot complains that this ointment could have been sold to give to the poor. But Jesus tenderly defends Mary. “Leave her alone. She bought it so that she might keep it for the day of my burial.” Then Jesus Christ says, “The poor you always have with you, but you do not always have me. Mary’s act of anointing comes as a natural, impulsive response to the extravagant love that Jesus has shown to her. As John will later write in 1 John (4:19), “We love because he first loved us.” Love begets love; extravagant love begets extravagant love. What Mary may not know—but Jesus knows—is that her anointing of him is an early preparation for his death. He probably knows the urgency of their time together. He cherishes this time. He has raised Lazarus and has incurred the ire of the Jewish authorities. His time will end soon. As he says, “His hour has not yet come”—but it will. This brings an extra poignancy to Mary’s devotional act. Imagine yourself in Mary’s place. Feel the abundant, lavish, unconditional, generous love that is poured upon her by her Lord Jesus. Would you respond any differently than she does—with an equally generous, lavish outpouring of love given back to the one who gives so much to her? These news briefs were featured in previous issues of "The Epistle"
There are now two new ways to request emergency pastoral care. Beginning March 1, 2018, All Saints’ established an Emergency Pastoral Care Phone Number that is available 24 hours a day. Whenever you have a need for support, please call (650) 691-8104 and leave a voice mail. The system will immediately forward the information to the Pastoral Care Committee who will respond to each request. In order to ensure that your need gets a timely response, it is important not to call Rev. Ryan’s or Rev. Mary’s cell, if you have those numbers. The new pastoral emergency system utilizes the entire committee not just our clergy to make sure we respond as quickly as possible even in the rare instance that a member of the clergy is not available. If you prefer, you may send an electronic pastoral care request via email to pastoralcare@allsaintskauai.org. To better protect the privacy of those we are praying for and to improve the communication standards of the Prayer Chain Ministry, All Saints' announced some changes starting March 1, 2018. Individuals who want to participate in the Prayer Chain Ministry must re-enroll to continue receiving the email communications. To re-enroll, please visit the newly established Pastoral Care web page or contact the Church Office at (808) 822-4267. The new process will be supported by technology and not dependent on one individual to maintain the entire flow of information. Also, the updated process will provide for greater privacy protection. 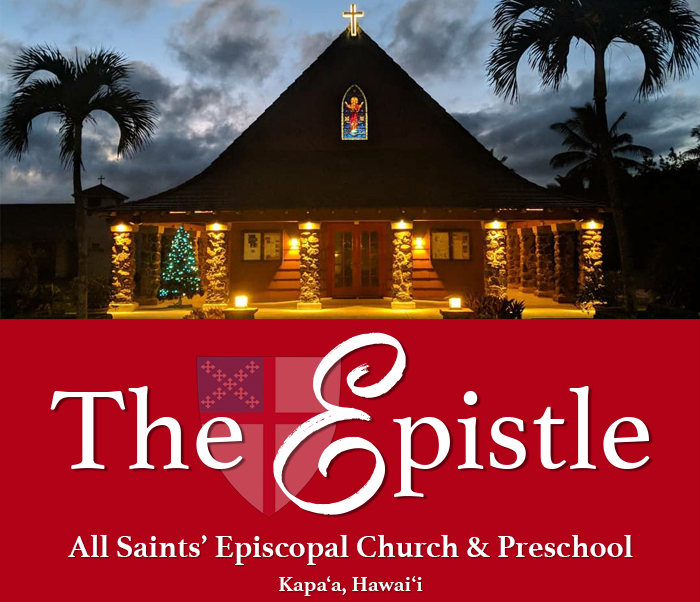 All Saints' offers the Laundry Love ministry the first and third Wednesdays of each month from 5:00PM - 8:30PM at the Kapaa Laundromat in the Kapaa Shopping Center. The ministry needs more volunteers especially for Team A and Team B. Volunteers do not need to members of the Church. Volunteers wash, dry, and fold patrons' laundry. Each session, All Saints' does 70-90 loads of free laundry for the community. No laundry experience required! For more information, visit here. If you are interested in volunteering for any of the above dates, please email the Laundry Love Leaders. Please consider volunteering one of the following dates: March 21, April 4, April 18, May 2, May 16, June 6, and June 20. The next scheduled date for Baptisms at All Saints' will be Saturday, March 31st at 7:00PM during the Easter Vigil Service. Baptisms at the Easter Vigil is one of the most ancient and sacred traditions of the Christian Church. Parents/Guardians who are interested in their child being baptized or adults seeking baptism are asked to attend a Baptism Preparation Class, Sunday, March 18 th at 8:30AM – 9:15AM in Memorial Hall. For more info, speak to Rev. Ryan.